In the world of boat ladders there are many options to choose from. 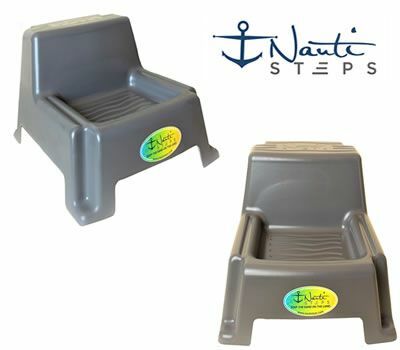 The type of boat you have will greatly influence the type of boat ladder you choose. 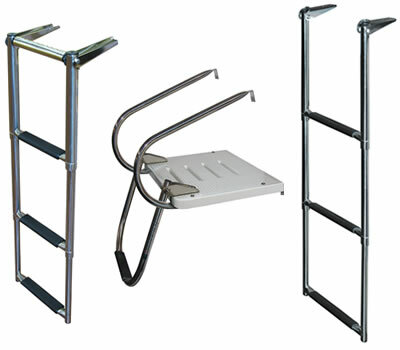 For pontoon boats selecting a pontoon ladder is ideal. 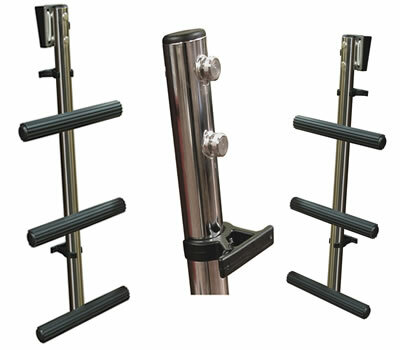 They offer different profiles, permanent or removable, and can be mounted at different locations on your boat. 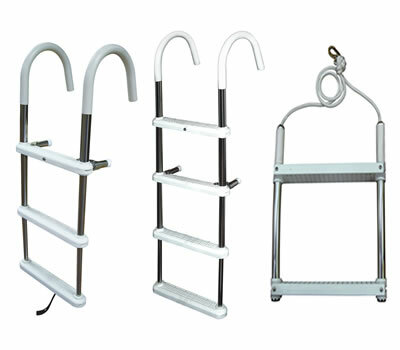 Gunwale hook ladders are a common removable type of boat ladder that makes access quick and easy, plus storage is quick and not permanent. Some boats require transom ladders to be mounted at the rear or stern of the boat. 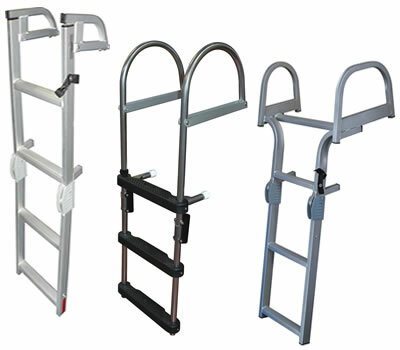 These ladders are typically permanent and are mounted to the rear of the boat or transom platform. A final factor to consider is construction.... anodized aluminum or stainless steel. Both are durable and functional but have varied life-spans depending upon the marine environment - fresh or saltwater.